Why do you think the quality department plays such an important role? 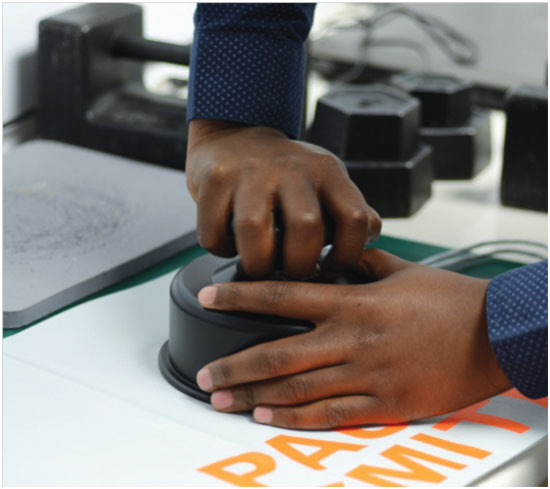 We’re often the first people to see the product when it arrives in the UK, and the last before it gets dispatched to the retailer, so it’s our responsibility to ensure that the product is fit-for purpose, matches the signed-off samples and lives up to customer expectations. 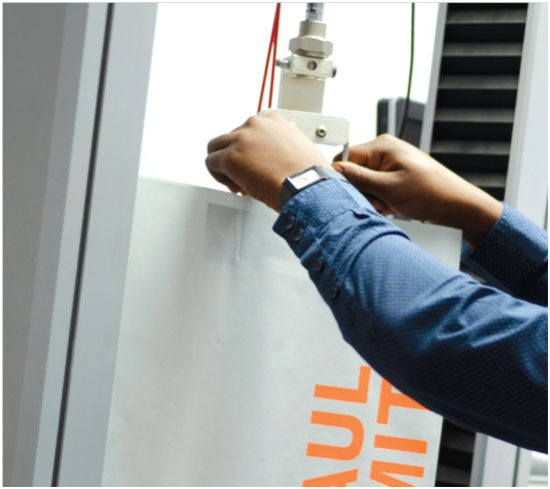 Having a department like ours is what makes us different – for us the quality of our products is just as important as ensuring it meets the budget and that delivery is on time. I’ve been here over two years now, and have learned a lot about quality in that short space of time. 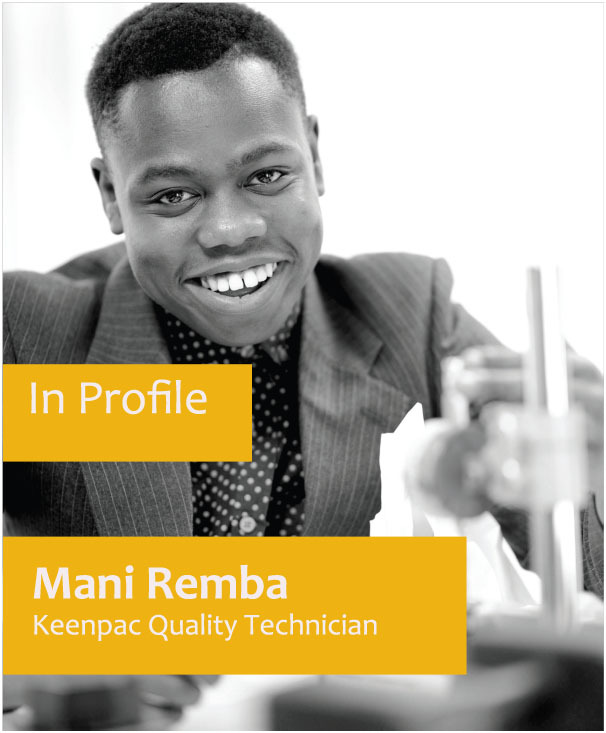 I came to Keenpac straight after doing my A Levels, so I didn’t have any previous experience. I’ve been lucky enough to learn from some very knowledgeable people. All of my training so far has been on the job. It’s not really something you can do at College or University so you just have to get in there, and of course I’m still learning! How many bags, boxes and packaging samples do you think you’ve got through since you started at Keenpac? As we work to a sampling programme we get to see a certain percentage of each quantity delivered and since I started, I’d guess I’ve seen around 20,000 bags, boxes and accessory samples come through the QC Lab (roughly!). You always seem to have a smile on your face. How do you do it? I think I’m generally a laid back, happy person anyway so I don’t let stress get to me too much. There are times when you have to be the bearer of bad news though and that can be quite difficult. But in that situation I just try to stay professional and present the facts as they stand. What is the most interesting thing about your job? Definitely the variety of packaging that we see on a daily basis. With products ranging from generic poly bags to very premium and bespoke handmade paper bags and jewellery boxes, there’s always some thing new to look at. I also love the fact that in QC you liaise with people across every area of the business, creating strong working relationships with them. I think you have to have a passion for packaging – I know I do. The department is more of a professional family than a team. We have a lot of laughs but we also work really hard to get through the workload. The eye isn’t always a reliable measure of colour, so we supplement visual checks within a lightbox with the spectrophotometer. 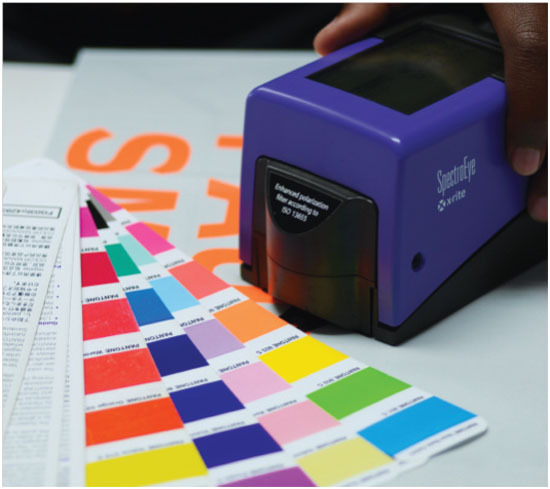 It provides a scientific reading of colour against an approved sample. 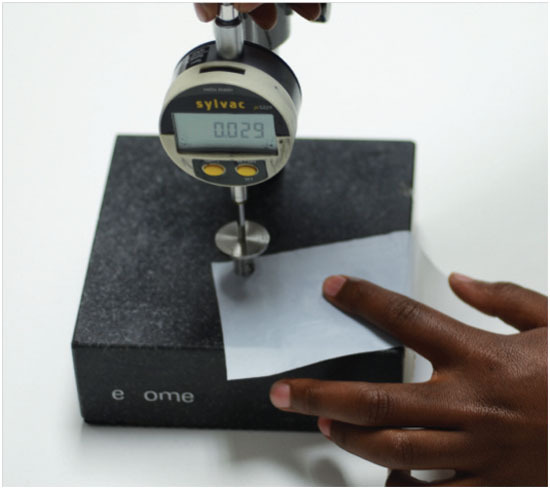 Paper is generally measured in gsm (grammes per square metre), so a small cut out sample of paper is physically weighed to check its specification. Measured in microns, the standard test for polythene thickness is by micrometer. We can test the finest polymer film to one millionth of a metre. To check the overall ability of any bag to support weight, we generally jog test it either manually or using the jog testing machine. Put simply, the test entails inserting various weights into the bag, and ‘jogging’ it to until it breaks.